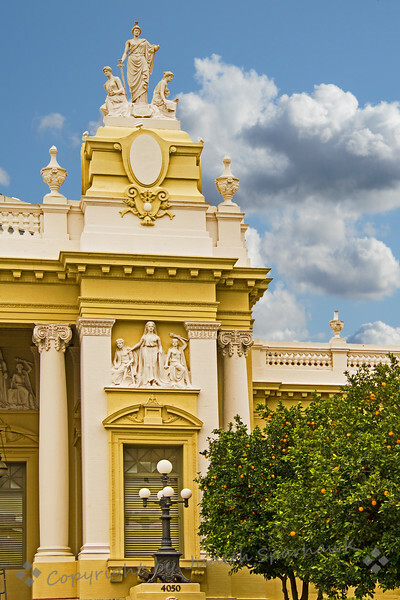 This image shows a small portion of the Riverside County Courthouse, Riverside, CA. I went to Riverside today to see a Photography Museum exhibit, so drove around downtown looking for photo ops. Unfortunately it was a very dreary, rainy day, so I had to change out the sky and adjust the lighting to make a better photo. This courthouse was built in 1903, and has many great architectural details.